Do you need an easy dessert for the 4th of July? Look no further! 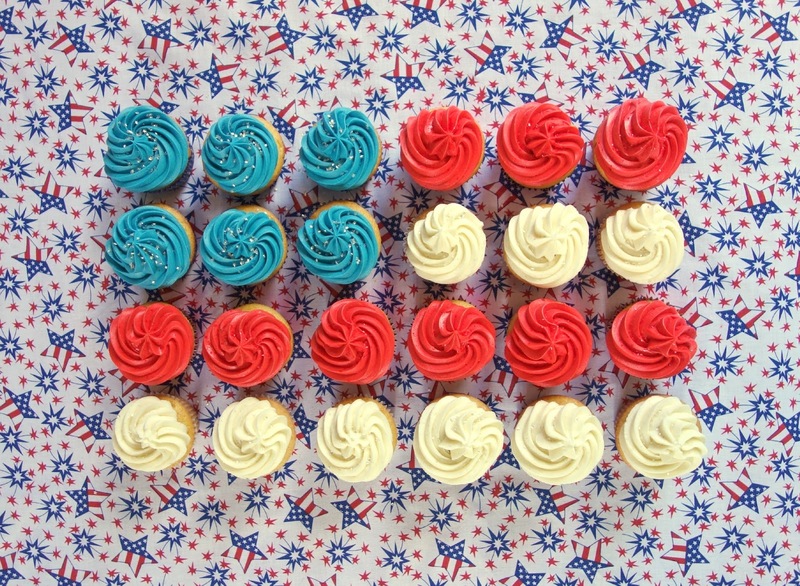 This Flag Cupcake Cake is simple and makes a great presentation. I used a box of yellow cake mix for the cupcakes and made the buttercream. If you don't want to make the buttercream (you will really be missing out), feel free to use a can of store-bought frosting. My tip to make store-bought frosting more like homemade is to whip it with a handheld mixer. That will lighten it up and make it easier to pipe on the cupcakes. Prepare cupcakes according to package directions. Allow to cool completely. In the bowl of an electric mixer fitted with the paddle attachment, cream butter until smooth and creamy, 2 to 3 minutes. With mixer on low speed, add 6 cups sugar, whipping cream, and vanilla; mix until light and fluffy. If necessary, gradually add more powdered sugar to reach desired consistency. 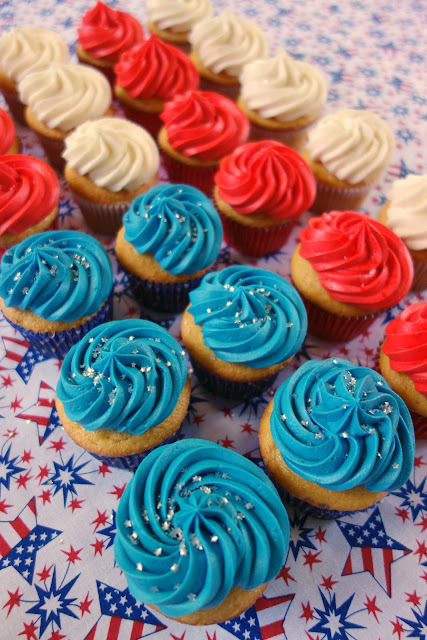 Divide the buttercream into thirds. Dye 1/3 blue and 1/3 red. Pipe white buttercream on 9 cupcakes. Pipe red buttercream on 9 cupcakes. Pipe blue buttercream on 6 cupcakes. 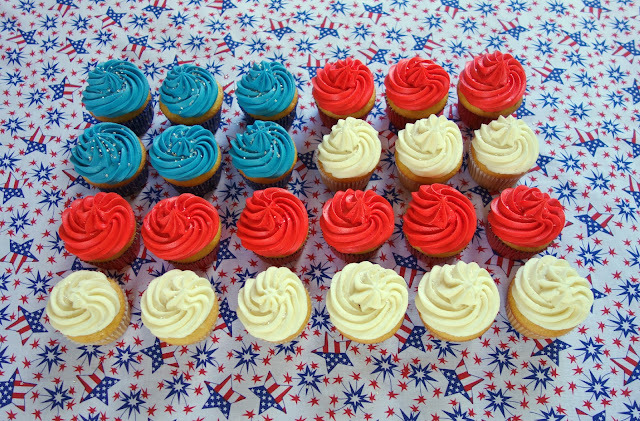 Arrange cupcakes in flag pattern. Pinning to my Holiday Recipe board. Steph - If you get a chance, please have a look at my blog post for today.